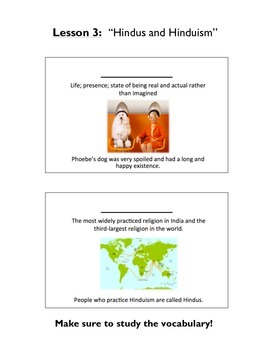 This a vocabulary packet for Domain 2: Ancient Asian Civilizations, Lesson 3: Hindus and Hinduism. 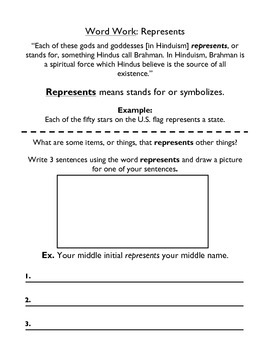 The packet contains a Word Work activity too. There is line for the students to write the vocabulary word for each.